The 24th Annual Children’s Medical Center Holiday Parade was held in downtown Dallas on December 3, 2011. Special guest Jordin Sparks rode in the parade and performed “The Cure” — the opening song of Children’s Med Dallas, the documentary. This Facebook landing page was created to promote the parade. 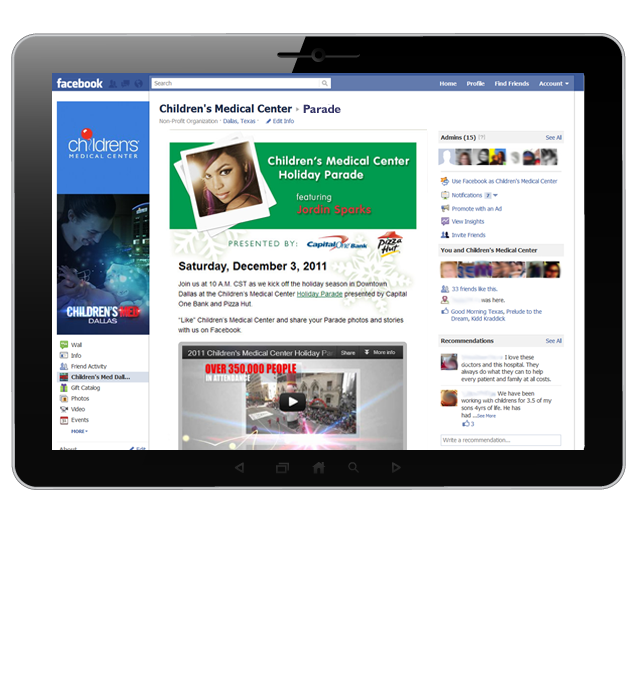 Video by Mark Bowen, digital design by Janet Davis for Children’s Medical Center.